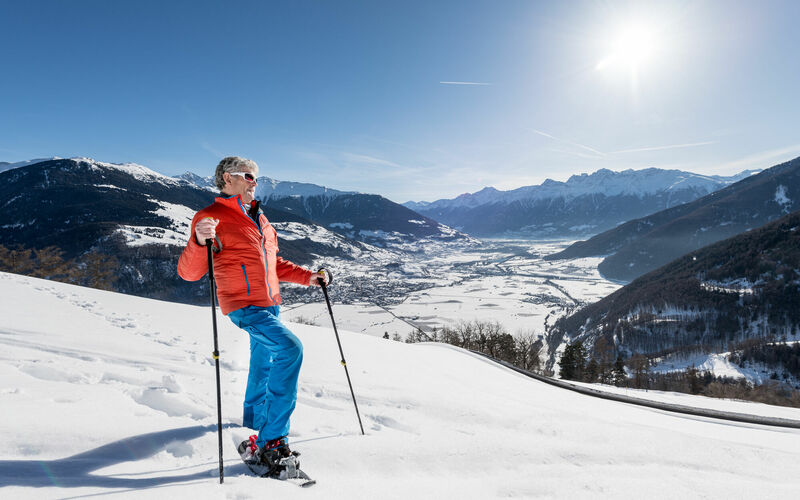 Skiing on the sunny Watles mountain, cross-country skiing at the Schlinig cross-country skiing centre or snow-shoeing and ski-tours through the shimmering snow-capped world – on a ski holiday in Vinschgau you will be able to reach everything you need within just a few minutes of Hotel Gerstl. 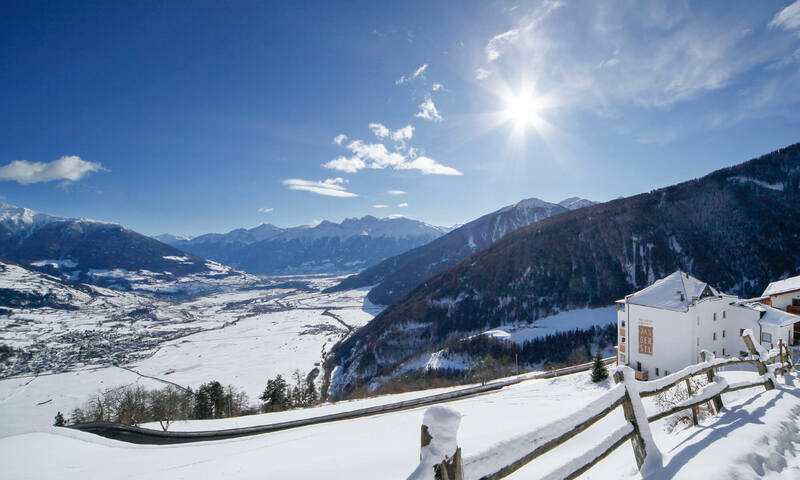 For utmost convenience during your winter break in Vinschgau, Hotel Gerstl is located very close to the lower station of the Watles ski resort and 4 other ski resorts in Vinschgau. And a good chunk of sunshine will be thrown in free of charge as well, given that Watles is well-known for its high proportion of sunny Winter days. Whether you’re looking to whizz down the well-prepared pistes of the Watles resort or to stomp the snow-covered paths from one Alpine hut to the next, we can guarantee you breathtaking panoramic views and romantic Winter landscapes. In the Alpine huts you will find a cosy sense of community spirit, before returning to Hotel Gerstl for a tasty evening meal. The Alpin & Relax Hotel Das Gerstl is situated right at the heart of a region popular for winter tourism and is surrounded by five skiing areas. Perfectly prepared slopes, hours and hours of sunshine, stunning views and expert ski schools - the five skiing areas in the holiday region offer everything a winter tourist could possibly wish for, and all five skiing areas are within easy reach from our hotel. Cross-country skiing is particularly popular in Schlinig (Langlaufzentrum Schlinig), which is only a short drive away. In Schlinig, 45 kilometres of cross-country course are waiting to be explored. Our ski bus (free of charge) will take you there and pick you up again. Climbing a mountain on skis, far away from crowded slopes, and skiing down afterwards is an adventurous experience. Experts like exploring the Vinschgau mountains on their own, while beginners prefer guided tours. Snowshoe hiking is becoming more and more popular. Once the snowshoes are on, there are (almost) no limits to exploring South Tyrol's winter wonderland. It's almost like hiking in the summer, only that it makes you breathe a little harder; but it's totally worth it! Overview: Find our best tips for winter hikes, ski tours and snowshoe hikes here. Click here to see the most inviting impressions of winter in South Tyrol, impressions which will make you dream of a winter stay at Alpin & Relax Hotel Das Gerstl, the ideal hotel for winter fans. Remain active throughout the winter months. Learn more about winter hikes, ski tours, cross-country courses, ski areas and sleighing possibilities in South Tyrol. Our interactive map is a great help.